Share a card game or drinks with friends at our Valley View Double Pedestal Pub Table! 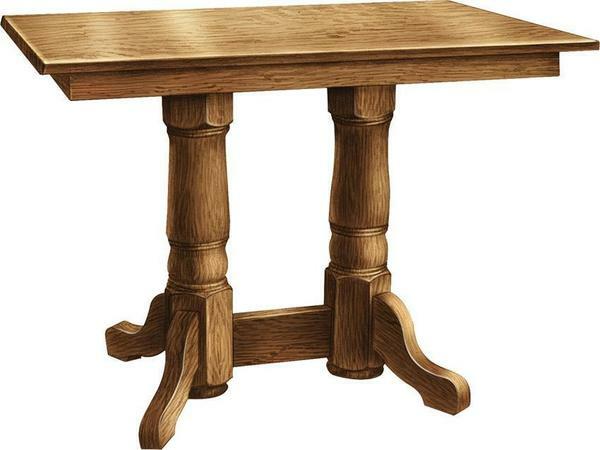 This attractive double pedestal pub table has a rectangle top, champhered edge, and empire feet. Draw in friends for a fun time with this table that is ideal for eat-in kitchens or recreation rooms. Promote a casual feel and create the illusion of extra space with the pub table's added height! The quality of our Amish made furniture speaks for itself. We offer you choices to keep you involved in the styling you desire. With so many choices available, we are always happy to assist you. Call any of our Amish Furniture Specialists at 866-272-6773 with questions.